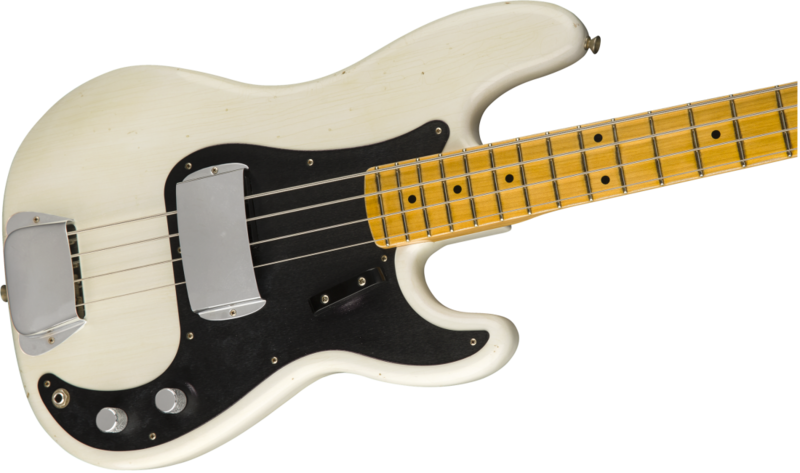 A straightforward, get-the-job-done workhorse, the Limited Edition '58 Precision Bass is crafted for the studio and the stage. The two-piece alder body and tinted, one-piece quartersawn maple neck ensure this bass thumps like no other, and the single-ply black-anodized aluminum pickguard increases resonance while looking fantastic. 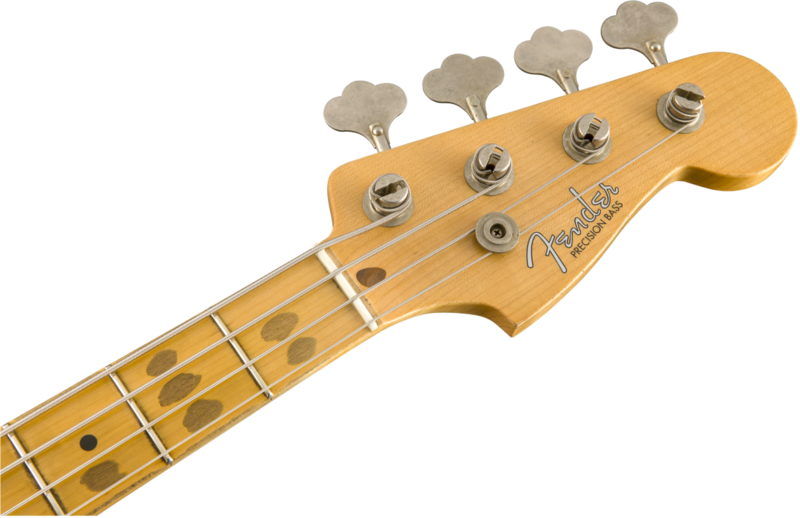 The hand-wound Custom Shop '62 P Bass split-coil pickup has the authentic, seismic tone that made the P Bass famous. Ultra-stable and highly resonant, the quartersawn maple neck sports a '57 "Soft V" profile that nestles comfortably in the hand while the maple fingerboard sports twenty 6105 frets. The Journeyman lacquer finish grants this instrument the look and feel of an instrument that's seen many a stage over the course of its service life. Other features include bone nut, vintage-style P Bass tuning machines and a round string tree. Includes deluxe hardshell case, strap and Certificate of Authenticity.